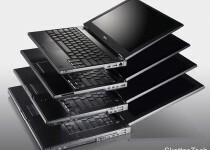 Early this morning, Dell announced over seven new models to their Latitude lineup during their press event. Although each of the models has some amazing new features such as their 14-inch laptop with 19 hours of battery life, I’ll be focusing on their 12-inch Latitude E4200 which weighs just 2.2 pounds. Dell has taken a whole new approach to everything from battery life, hardware, security, software, and style before building these machines and it is all looking pretty good. Starting with the tech specs, this laptop has got just about all the latest circuitry. 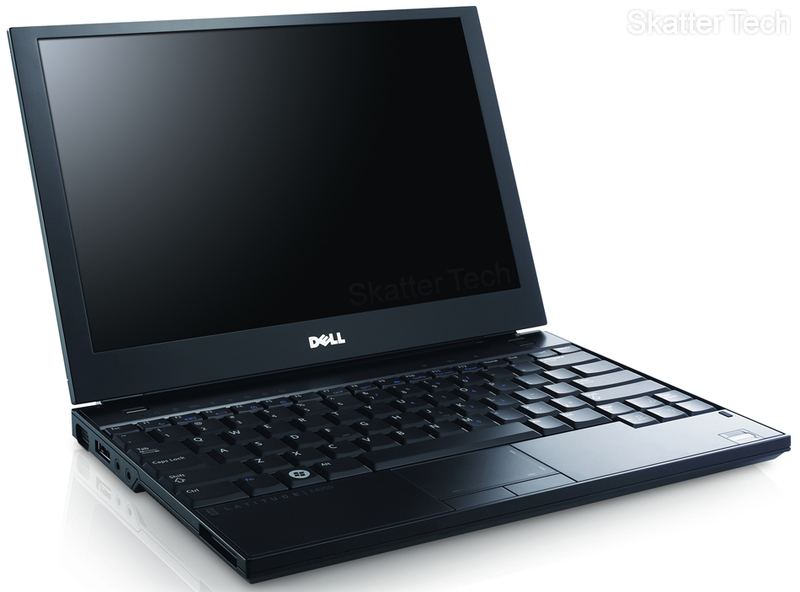 The Latitude E4200 uses the Intel Core 2 Duo Ultra Low Voltage Processor running at 1.4 GHz which is the first aspect to conserving battery life. Next, the 12.1 inch WXGA LED backlit display and the 128GB Solid State Drive, which supposedly performs better than a standard 7200RPM HDD, also demand less power than their traditional counterparts. Since this laptop comes with a flavor of Vista, most consumers will demand a good amount of RAM. 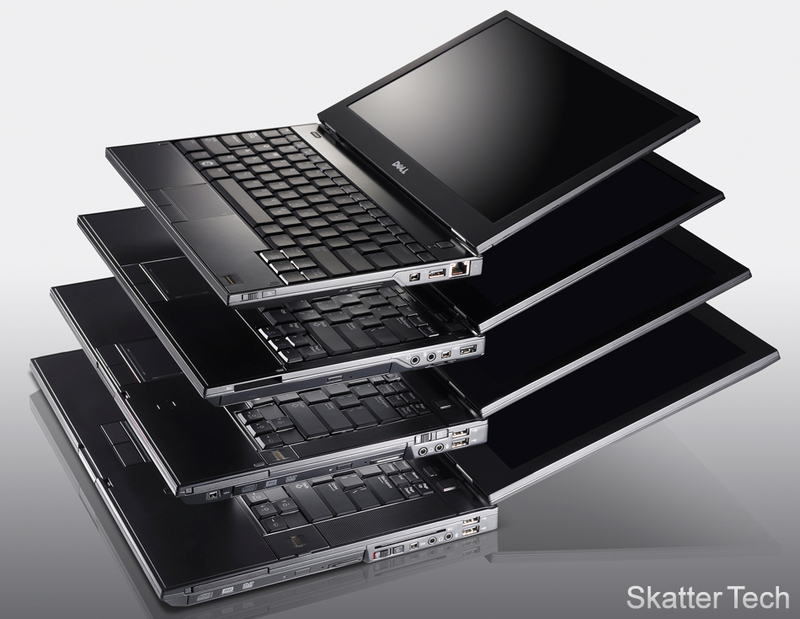 With the new chipset, the E4200 Latitude has 1GB built-in onboard and supports up to 4GB in the extra slot. In addition to the standard goodies that come with most laptops the notebook also has USB port with “PowerShare” which allows charge devices even when the laptop is turned off and an eSATA port for high speed data access to external storage. 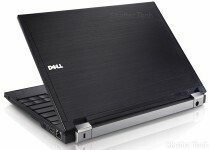 The laptop is completely networked with Gigabit Ethernet, Wi-Fi 802.11 a/g/n, Mobile Broadband & GPS, and Bluetooth 2.1. Every Latitude series is also compatible with a set of newly designed docking stations. You definitely won’t be left in the dark with lack of ports, however one thing this laptop does lack is a built in optical drive. Even with all these features packed in, the laptop weighs around just 2.2 pounds with the standard battery pack making it the lightest consumer laptop Dell has ever produced. If you are aiming for 16 hours of battery life, you’ll need to attach an extended battery and a new “battery slab” which attaches to the bottom of the laptop, meaning it won’t be so “lightweight” anymore. Also, for the first time, customers will have the opportunity to customize their Latitude with their choice of color: Regatta Blue, Regal Red and Quartz Pink. The ultra portable Latitude also comes with optional features such as a backlit keyboard with ambient light sensors, a contact-less Smart Card reader, a Trusted Platform Module for encryption, and a fingerprint reader. Since such a large number of laptops are stolen, another item Dell focused on was protecting data. They do that by offering hardware-based encryption to prevent data from being viewed by those without proper access. In addition they include services which will help track & locate a stolen laptops and offer the ability to remotely command a wipe all data if it were stolen. 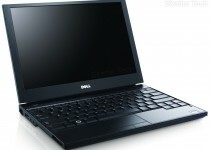 Finally, Dell also included new instant Operating System entitled “Dell Latitude On,” which may or not be a hit. 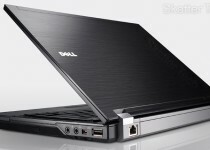 But according to Dell, it boots within seconds and offers access to email, calendars, contacts, files, and the web without having to load your full Vista operating system. This instant OS is much faster and demands much less power for performing most simple tasks such as watching a movie or listening to music. 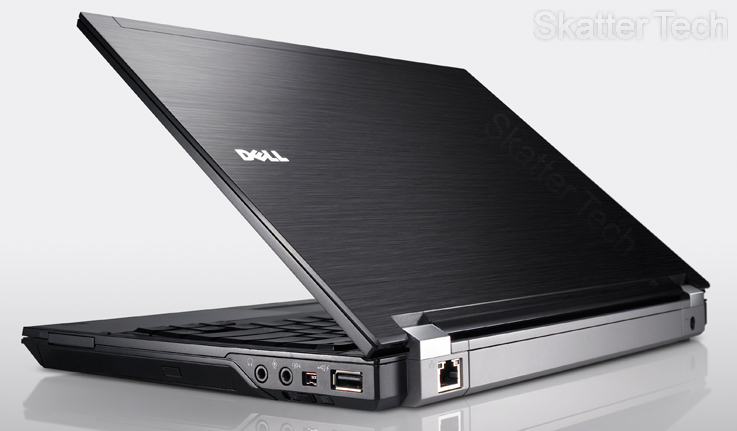 Dell claims that by using this technology along with the new low-voltage processors and new batteries their laptops can offer “multi-day battery life.” This laptop isn’t yet available for purchase, but should appear on their online store within a couple of weeks. We are also trying to get a unit for review, so check back for more updates!